id falcon punch a random girl for the rims and front bumper off the all white one!! Gotta love that, the parking pole looks funky but maybe it's cuz Im used to the retractable Honda ones with the green LED up top. edit: oops photo is a bit too biggerist sorry! Oi, you stole my rims! I love the look of these dont you! You've managed to get yours to sit a hell of alot lower than mine and they fill Very nicely! Just noticed that they are 9"... mines only 7" F and 8" R, that would explain a bit. Noice! Lots of good info. I'll be able to cut and paste later when the info is finalized. where the hell did you find 5 lug watanabes?????????? no joke yo, id be rollin some myself if I could find 5 lug ones. dam 4 luggers.when i had four lug there werent any i wanted or could find.now i got 5 lug its the damn same. 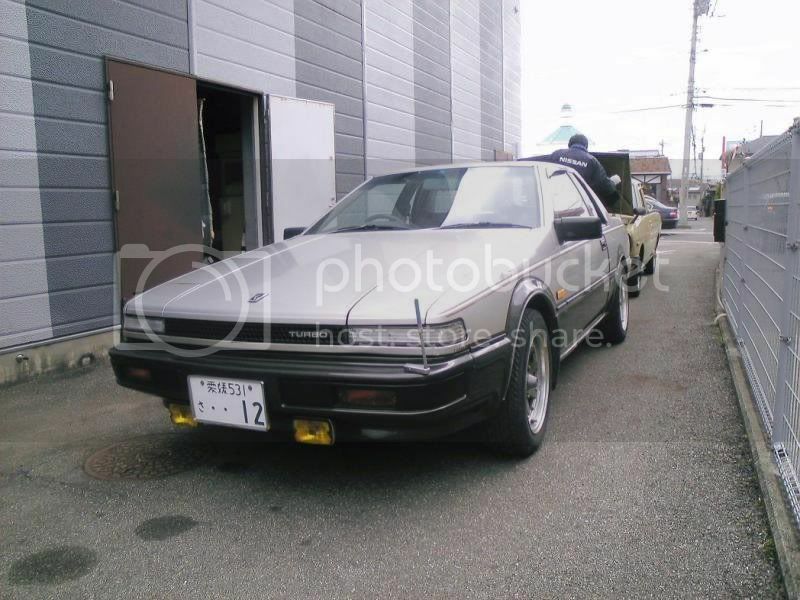 thats all the pix of jdm s12s? 4? all the rest are on craigslist -washington or in premo's backyard? I have done alot of updates to that page now, a whole lot more info on the MKII S12's also. A couple more, damn I love the look of this car. That RSX is hot....i think i found my paint scheme!!!!!! What white is that ppl????? It's the paint scheme that all the R-X.G's are given in the JDM Silvia brochures, I havn't seen many RS-X's painted like that. Don't know if it helps, but the colour scheme is listed as 381 in the brochure. I'd love to see a close-up of the words right behind the "X" in RS-X. DeathAndMajesty - lol They would probably smelt it into another porsche. Whatchu know bout Hard Gay?!?! yeah, the same ones that came on North American cars as an option. Usually V6 cars, but some non-V6 ones too. u asked for it arro lol.